tags: A god incarnate. A city doomed. Nuclear waste and carlessness of man mutate a gilled creature in the Tokyo Bay. With social media capturing the footage, the emergency cabinet meets to find out what the creature is and if it will be a threat, but only to say that the creature is so massive it's weight would crush it if it came on land. They are proven wrong as the creature comes on land scaring the people of Tokyo and knocking over buildings. The cabinet sends a defence force to eliminate the monster but it evolves and starts overheating with radiation. This causes the monster to run back to the bay, leaving a risk of returning to the cabinet. Later it comes back in its next form and is now taller and indestructable. The cabinet gives it the name "Godzilla". An unknown accident occurs in Tokyo Bay's Aqua Line, which causes an emergency cabinet to assemble. All of the sudden, a giant creature immediately appears, destroying town after town with its landing reaching the capital. This mysterious giant monster is named "Godzilla". 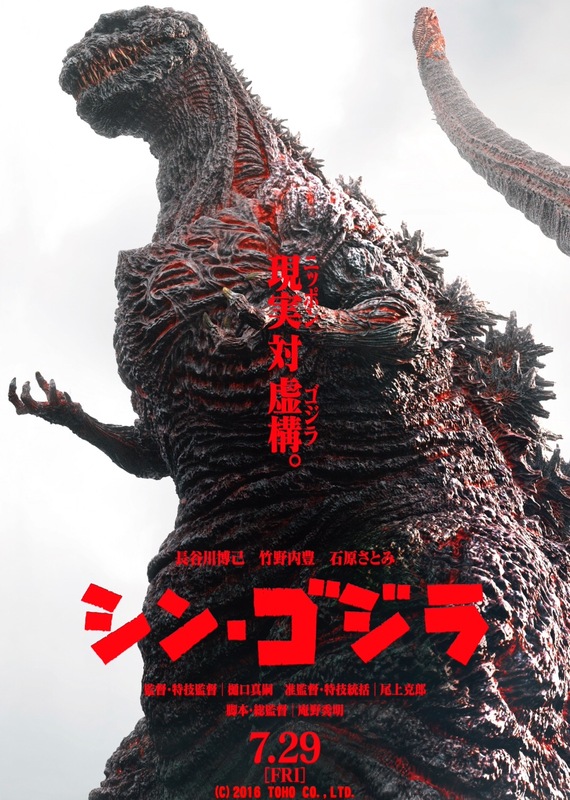 I saw "Shin Godzilla", Hiroki Hasegawa-Why Don't You Play in Hell?, Attack on Titan Parts 1&2; Yutaka Takenouchi-The Apology King, Oba:The Last Samurai; Satomi Ishihara-Attack on Titan Parts 1&2, My Grandpa and Ren Ohsugi-The Twilight Samurai, Fireworks.